How to sort measure values in an excel 2010 based ad-hoc report using SSAS cubes? 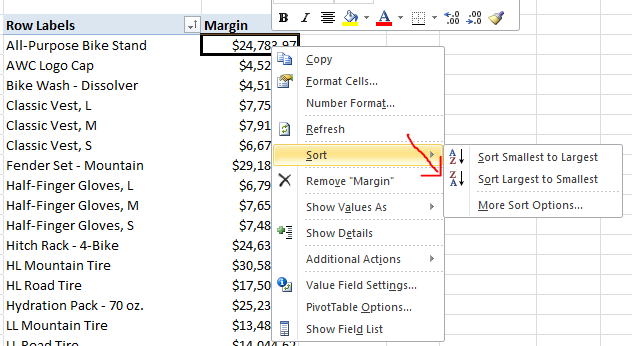 In this post, I shared two ways you can sort the measure values in an excel based ad-hoc report using SSAS cubes. Do you allow excel based ad-hoc reporting over SSAS cubes in your organization? What Problems does Power BI solve?